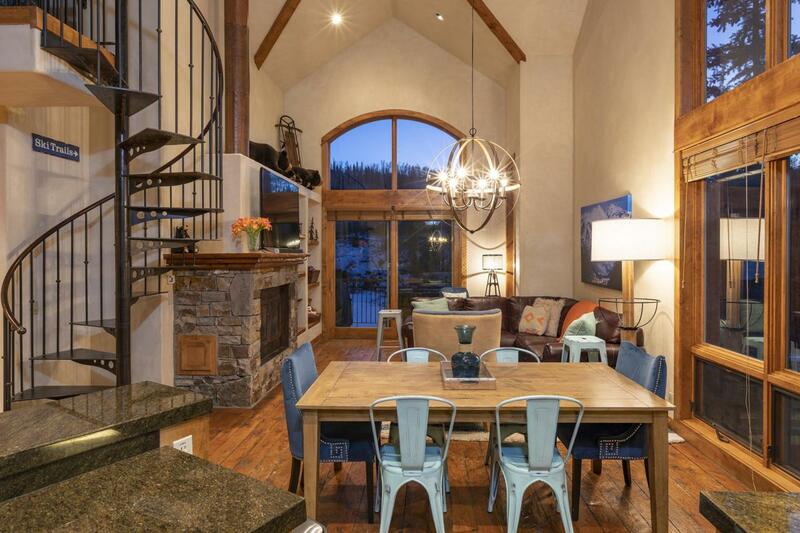 Ski trail-side condo at The Terrace is rare and special opportunity. This 3 bedroom is a top floor, end unit condominium with inspiring views to the ski slopes. Walk out your door to Chair 1 & 10, The ''Chondola'', or hiking trails to the Village Core and Town of Telluride. Recently updated with new carpeting, paint, contemporary furnishings and decor. The sun drenched condo has massive vaulted ceilings, picture windows to mountain and slope-side views, a nice deck with grill, a stone mantled gas fireplace, plaster finish walls, rustic wood floors, high-end finishes and fixtures. Turn-key, this condo includes all furniture and furnishings ready for you and your guests.